As President of Rett Syndrome Europe, I am writing to you today to ask for your Association’s support for the European Rett database located in Italy: the Rett Syndrome Database Network (RSDN). The simple fact is that vital research on Rett syndrome or clinical trials cannot be easily achieved without collecting and analysing data. Over the past years, much data from across Europe has been registered by clinicians. Today the database contains more than 2000 patients over 13 different countries, collecting hundreds of items such as weight, size, age, mutation, etc. for each individual. Being a relatively newly recognised disorder, this data provides vital clues about cause and potential treatment, tracking our Rett Syndrome people throughout their lives. Maintaining and improving the RSDN is not free, however, and the RSDN scientific board is now searching for funds to allow this essential work to continue. 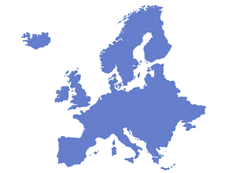 Since 2013, Rett Syndrome Europe has delegated two representatives (from Italy and Catalonia) to be part of the database’s scientific board. Their role has been to follow and report back advances to family associations, through our network. Should the requested budget not be achieved, the ways in which the database are prioritised can be discussed with parent associations. This will give you the opportunity to be involved in the project. The Rett-Networked database will be discussed during the forthcoming European congress in Rome, together with reports on clinical trials and the whole issue of funding research in Europe. We hope this will bring good news to the Rett community regarding its current financial status. If your association has a budget for Research in Rett syndrome, I urge you to give very careful consideration to Professor Renieri’s request for financial support. Please do not hesitate to contact me for clarification or for any other information you may require. 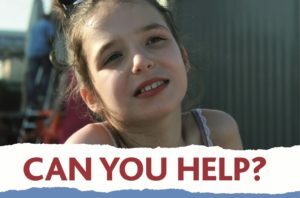 On behalf of Rett Syndrome Europe, I do hope that your Association will consider this vital request favourably and I look forward to hearing from you.